Every other body oil I’ve ever tried can now take a seat because I’ve met my match. Seriously, though, my new addiction is lathering this luxurious-feeling goodness all over every single inch, crease, and crevice of my body. I can’t stop. Before I get into the magic that is Peet Rivko Body Oil ($80), I’ll remind you all of my extremely sensitive skin. I grew up with severe eczema on my arms, ears, the back of my neck, and legs. As a child, on top of my prescriptions, my mom put me on a serious moisturizing regimen to control the uncomfortable itching sensation I dealt with from eczema. Body oil has been a permanent fixture in my beauty routine before I even knew what a “routine” was. My skin drinks it up so quickly—I can’t go a day without it. The first true throwback to ever touch my skin was Johnson Baby Oil ($4). Then, I moved on to Vaseline Baby Oil Gel ($4). For the past few years, I’ve been sticking with Trader Joe’s 100% Organic Virgin Coconut Oil ($5). Thankfully, I grew out of eczema after my adolescent years, but I have particularly dry skin that I’m probably going to have to deal with for life. So, body oil, which I use through every single season, will continue to be my thing. I took it home that very night, and after my bath, I decided to give it a try. First, I did what I always do before trying any new product: I took a whiff of it. When I tell you it smells like an alluring aroma of fresh plants, trust me. The scent is not overwhelming, though; it’s just pleasant. I started to apply it to my legs and then moved on to my upper body. There was a simple joy I got out of applying this body oil—it felt so soothing and calming after a long day, not unlike a massage at a spa. To be honest, I didn’t even take my usual deep dive into the backstory of the product before applying it. But now I know why it’s so amazing. It’s infused with organic cold-pressed botanical oils like jojoba oil, sunflower seed, avocado, and baobab. 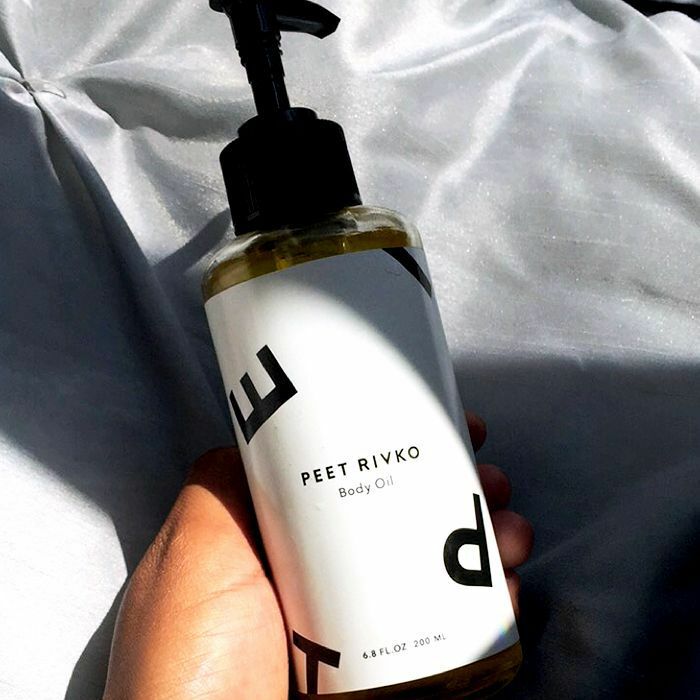 Peet Rivko is dedicated to creating the most shelf-worthy, organic products those with super sensitive skin (aka me) will love. What I love even more is the glowy sheen it leaves on my complexion—it lasts for hours. And when I put this on before bed, I wake up in the morning with baby-soft skin. I applied it before a date last weekend and felt like my skin was sparkling. I could go on and on for hours about this stuff and will probably be a little depressed when I run out. It’s worth the price, and you deserve to treat yourself. So you have my blessing to splurge on this exceptional product. Up next: Discover even more amazing body oils we can get behind.